A wonderful morning was spent with members of the Yeppoon community at The Rocks Café for the Yeppoon Coffee with a Cop event. New Officer in Charge of Yeppoon Station, Senior Sergeant Erin Shawcross, said it was a great opportunity to talk to the local community and stated a number of issues were brought to his attention that local Police were not aware of previously. Volunteers in Policing also conducted Lock it or Lose it leaflet drops on vehicles parked along the foreshore. 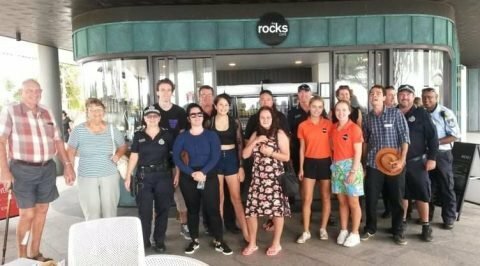 The event was sponsored by The Rocks Café at the beautiful Yeppoon Lagoon and Yeppoon Police wish to thank them for supporting this event.